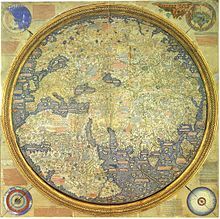 The exact time and place of Marco Polo's birth are unknown, and current theories are mostly conjectural. One possible place of birth is Venice's former contrada of San Giovanni Crisostomo, which is sometimes presented by historians as the birthplace, and it is generally accepted that Marco Polo was born in the Venetian Republic with most biographers pointing towards Venice itself as Marco Polo's home town. Some biographers suggest that Polo was born in the town of Korčula (Curzola), on the island of Korčula in today's Croatia. The most quoted specific date of Polo's birth is somewhere "around 1254". [Note 2] His father Niccolò was a merchant who traded with the Middle East, becoming wealthy and achieving great prestige. Niccolò and his brother Maffeo set off on a trading voyage, before Marco was born. In 1260, Niccolò and Maffeo were residing in Constantinople when they foresaw a political change; they liquidated their assets into jewels and moved away. According to The Travels of Marco Polo, they passed through much of Asia, and met with the Kublai Khan. Meanwhile, Marco Polo's mother died, and he was raised by an aunt and uncle. Polo was well educated, and learned merchant subjects including foreign currency, appraising, and the handling of cargo ships, although he learned little or no Latin. In 1269, Niccolò and Maffeo returned to Venice, meeting Marco for the first time. In 1271, Marco Polo (at seventeen years of age), his father, and his uncle set off for Asia on the series of adventures that were later documented in Marco's book. They returned to Venice in 1295, 24 years later, with many riches and treasures. They had traveled almost 15,000 miles (24,000 km). Upon the Polos' return to Italy, Venice was at war with Genoa. Genoese admiral Lamba D'Oria overwhelmed a Venetian fleet at the Battle of Curzola near the island of Korčula, and Marco Polo was taken prisoner. He spent several months of his imprisonment dictating a detailed account of his travels to a fellow inmate, Rustichello da Pisa, who incorporated tales of his own as well as other collected anecdotes and current affairs from China. 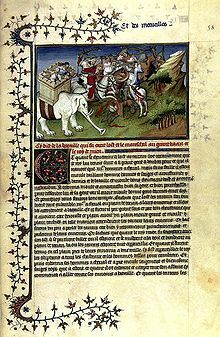 The book, soon spread throughout Europe in manuscript form, became known as The Travels of Marco Polo, and depicts the Polos' journeys throughout Asia, giving Europeans their first comprehensive look into the inner workings of the Far East, including China, India, and Japan. While Polo's book describes paper money and the burning of coal, it fails to mention the Great Wall of China, chopsticks, and footbinding, making skeptics wonder if Marco Polo had really gone to China, or wrote his book based on hearsay. However, researchers note that the Great Wall familiar to us today is a Ming structure, post-dating Marco Polo's travels by more than two centuries. The Yuan rulers whom Polo served, as well as the preceding Jin and Liao Empires controlled territories both north and south of the today's wall, and would have no reasons to maintain any fortifications that may have remained there from the earlier dynasties. Other Europeans who traveled to Khanbaliq during the Yuan Dynasty, such as Giovanni de' Marignolli and Odoric of Pordenone, said nothing about the wall either. Marco Polo was finally released from captivity in August 1299, and returned home to Venice, where his father and uncle had purchased a large house in the central quarter named contrada San Giovanni Crisostomo. The company continued its activities and Marco soon became a wealthy merchant. Polo financed other expeditions, but never left Venice again. In 1300, he married Donata Badoer, the daughter of Vitale Badoer, a merchant. They had three daughters, called Fantina, Bellela and Moreta. In 1323, Polo was confined to bed, due to illness. On January 8, 1324, despite physicians' efforts to treat him, Polo was on his deathbed. To write and certify the will, his family requested Giovanni Giustiniani, a priest of San Procolo. His wife, Donata, and his three daughters were appointed by him as co-executrices. 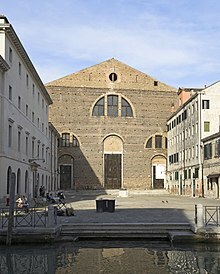 The church was entitled by law to a portion of his estate; he approved of this and ordered that a further sum be paid to the convent of San Lorenzo, the place where he wished to be buried. He also set free a "Tartar slave" who may have accompanied him from Asia. An authoritative version of Marco Polo's book does not exist, and the early manuscripts differ significantly. The published versions of his book either rely on single scripts, blend multiple versions together or add notes to clarify, for example in the English translation by Henry Yule. Another English translation by A.C. Moule and Paul Pelliot, published in 1938, is based on the Latin manuscript which was found in the library of the Cathedral of Toledo in 1932, and is 50% longer than other versions. 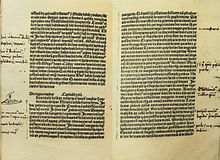 Approximately 150 variants in various languages are known to exist, and without the availability of a printing press many errors were made during copying and translation, resulting in many discrepancies. A page from Il Milione, from a manuscript believed to date between 1298-1299. The book starts with a preface about his father and uncle traveling to Bolghar where Prince Berke Khan lived. A year later, they went to Ukek  and continued to Bukhara. There, an envoy from Levant invited them to meet Kublai Khan, who had never met Europeans. In 1266, they reached the seat of the Kublai Khan at Dadu, present day Beijing, China. Khan received the brothers with hospitality and asked them many questions regarding the European legal and political system. He also inquired about the Pope and Church in Rome. After the brothers answered the questions he tasked them with delivering a letter to the Pope, requesting 100 Christians acquainted with the Seven Arts (grammar, rhetoric, logic, geometry, arithmetic, music and astronomy). Kublai Khan requested that an envoy bring him back oil of the lamp in Jerusalem. The long sede vacante between the death of Pope Clement IV in 1268 and the election of his successor delayed the Polos in fulfilling Khan's request. They followed the suggestion of Theobald Visconti, then papal legate for the realm of Egypt, and returned to Venice in 1269 or 1270 to await the nomination of the new Pope, which allowed Marco to see his father for the first time, at the age of fifteen or sixteen. In 1271, Niccolò, Maffeo and Marco Polo embarked on their voyage to fulfill Khan's request. They sailed to Acre, and then rode on camels to the Persian port of Hormuz. They wanted to sail to China, but the ships there were not seaworthy, so they continued overland until reaching Khan's summer palace in Shangdu, near present-day Zhangjiakou. Three and one-half years after leaving Venice, when Marco was about 21 years old, Khan welcomed the Polos into his palace. The exact date of their arrival is unknown, but scholars estimate it to be between 1271 and 1275. [Note 3] On reaching the Yuan court, the Polos presented the sacred oil from Jerusalem and the papal letters to their patron. Marco knew four languages, and the family had accumulated a great deal of knowledge and experience that was useful to Khan. It is possible that he became a government official; he wrote about many imperial visits to China's southern and eastern provinces, the far south and Burma. Kublai Khan declined the Polos' requests to leave China. They became worried about returning home safely, believing that if Khan died, his enemies might turn against them because of their close involvement with the ruler. 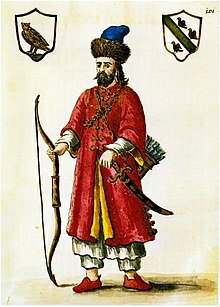 In 1292, Khan's great-nephew, then ruler of Persia, sent representatives to China in search of a potential wife, and they asked the Polos to accompany them, so they were permitted to return to Persia with the wedding party — which left that same year from Zaitun in southern China on a fleet of 14 junks. The party sailed to the port of Singapore, travelled north to Sumatra , sailed west to the Trincomalee port of Jaffna under Savakanmaindan and to Pandyan of Tamilakkam. Describing the Pandyan kingdom under Lord Emperor Jatavarman Sundara Pandyan I as the richest empire in existence, Polo arrived during the reign of Maravarman Kulasekara Pandyan I, son of Jatavarman Sundara Pandyan I and one of five brother kings on the continent. Eventually Polo crossed the Arabian Sea to Hormuz. The two-years voyage was a perilous one - of the six hundred people (not including the crew) in the convoy only eighteen had survived (including all three Polos). The Polos left the wedding party after reaching Hormuz and travelled overland to the port of Trebizond on the Black Sea, the present day Trabzon. Other lesser-known European explorers had already travelled to China, such as Giovanni da Pian del Carpine, but Polo's book meant that their journey was the first to be widely known. Christopher Columbus was inspired enough by Polo's description of the Far East to visit those lands for himself; a copy of the book was among his belongings, with handwritten annotations. Bento de Góis, inspired by Polo's writings of a Christian kingdom in the east, travelled 4,000 miles (6,400 km) in three years across Central Asia. He never found the kingdom, but ended his travels at the Great Wall of China in 1605, proving that Cathay was what Matteo Ricci (1552–1610) called "China". The Marco Polo sheep, a subspecies of Ovis aries, is named after the explorer, who described it during his crossing of Pamir (ancient Mount Imeon) in 1271. [Note 4] In 1851, a three-masted Clipper built in Saint John, New Brunswick also took his name; the Marco Polo was the first ship to sail around the world in under six months. The airport in Venice is named Venice Marco Polo Airport, and the frequent flyer program of Hong Kong flag carrier Cathay Pacific is known as the "Marco Polo Club". The travels of Marco Polo are fictionalised in Brian Oswald Donn-Byrne's Messer Marco Polo and Gary Jennings' 1984 novel The Journeyer. Polo also appears as the pivotal character in Italo Calvino's novel Invisible Cities. The 1982 television miniseries, Marco Polo, directed by Giuliano Montaldo and depicting Polo's travels, won two Emmy Awards and was nominated for six more. Marco Polo also appears as a Great Explorer in the 2008 strategy video game Civilization Revolution. Silk Road, which Marco Polo traveled. ^ Many sources state this date; Britannica 2002, p. 571 states, "born in or around 1254. (This date, like nearly all the others concerning major events in his life, is conjectural.)" ^ William Tait, Christian Isobel Johnstone (1843). Tait's Edinburgh magazine, Volume 10. Edinburgh. ^ Hinds, Kathryn (2002). Venice and Its Merchant Empire. New York. ^ Aiyangar, Sakkottai Krishnaswami (1921). South India and her Muhammadan Invaders. Oxford University Press. In the Footsteps of Marco Polo is a 2009 PBS documentary about two friends (Denis Belliveau and Francis O’Donnell), who conceived of the ultimate road trip to retrace Marco Polo's journey from Venice to China via land and sea. A 1982 miniseries featured Ken Marshall and Ruocheng Ying. ^ "The Travels of Marco Polo — Volume 1 by Marco Polo and Rustichello of Pisa - Project Gutenberg". Gutenberg.org. 2004-01-01. http://www.gutenberg.org/etext/10636. Retrieved 2011-04-02. ^ "The Travels of Marco Polo — Volume 2 by Marco Polo and Rustichello of Pisa - Project Gutenberg". Gutenberg.org. 2004-05-01. http://www.gutenberg.org/etext/12410. Retrieved 2011-04-02.